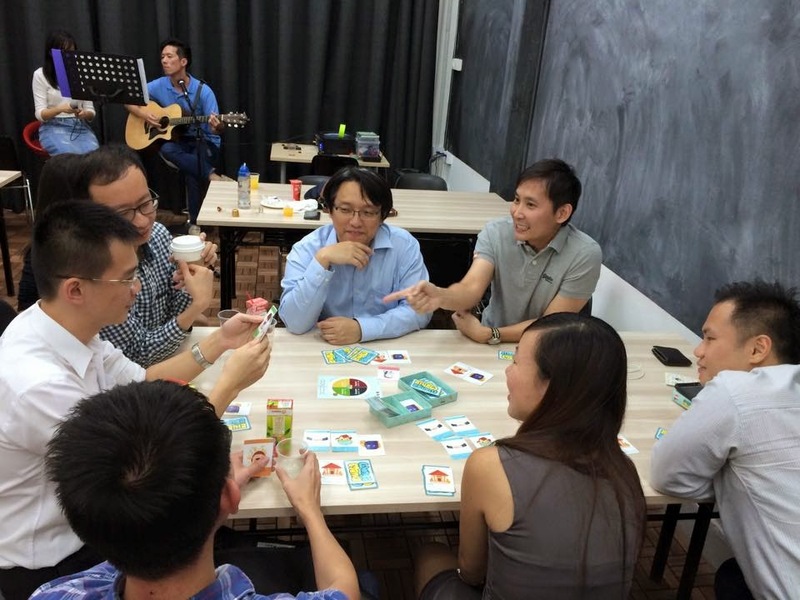 Thanks to Alvin of Big Fat Purse, managed to catch-up with a few peer financial bloggers for the second serving of Wongamania board game at their prestige office. Click here to see the review of my first game. The best part of such gathering is to meet peers that we used to 'communicate" only through our mutual blogs. 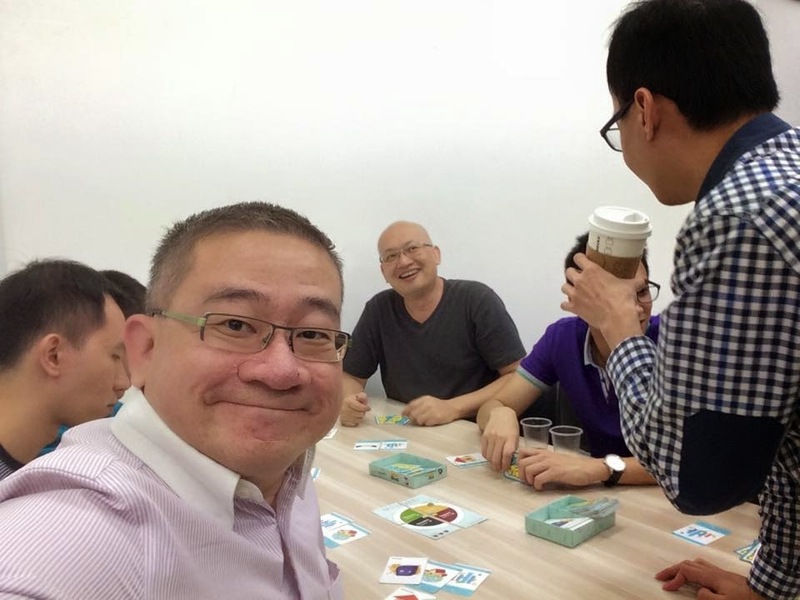 Prior to the game, has a casual chat with the founder (Xeo) of Wongamania game and get to know more about the challenges that he has gone through to bring the first edition of board game to the market. Much to learn from him especially his entrepreneurship spirit. Not only that, he is taking the feedback from the users very seriously and enhanced version of the game (including the online version) is on its way. 1. Jared Seah of Singapore Man of Leisure. - The famous "poker" in our community (no, I am not referring to those gambling kind of poker, I am talking about those who like to poke people online via comment ;-)). First time meeting him and he is milder in person that I originally thought. I guess we know each other a little bit better now but will still continue to poke each other through our mutual blogs. 2. Lionel Yeo of Cheerful Egg - I read somewhere that Lionel is deemed the most charming presenter in the recent Financial Bloggers event and after meeting him, I got to agree with the author. He even bring along his equally charming girlfriend for the game, lovely couple. 3. Kyth Ng of Investment Moats - I visited his blog quite regularly as his posts are usually very well researched and written. 4. Derek Lim of the popular local financial blogs aggregator, The Finance - He seems to be everywhere in such community gathering, which is a great thing. Of course, let's not forget some other bloggers whom I've met before e.g. T of My15HWW, SH of SG Young Investment and Christopher Ng of Tree Of Prosperity. Also, honored to meet our one and only lifestyle blogger of the night, Melvin Lee, owner of A Winsome Life as well as Winston Koh (one of my Facebook friend) there. 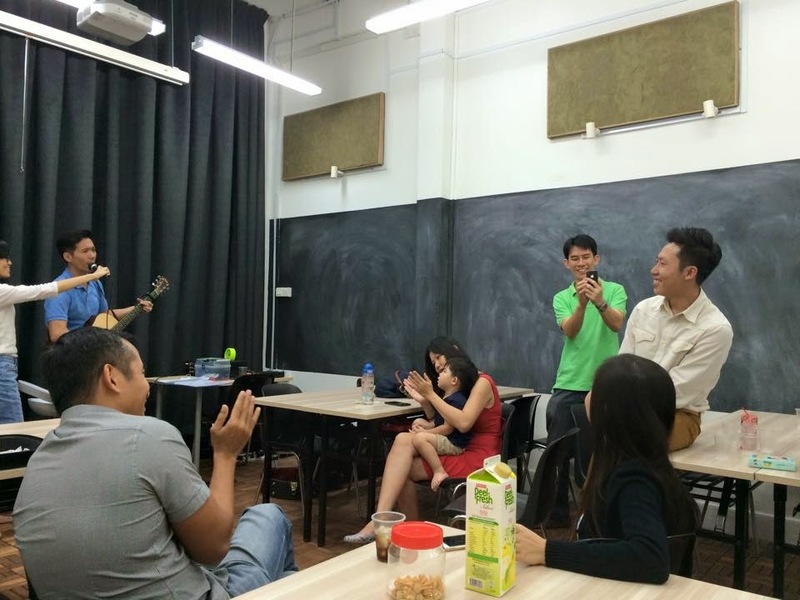 It's a fun-filled night with lots of laughter, food, wine and cool entertainment of live band singing by one of Alvin's friend as well as our very own talented singer, Christopher Ng. I've took a couple of photos during the session, can you recognize any of them in the following photos? Ok, let's come back to the Wongamania game for the closure. Since this is my second round, I think I am quicker in responding to the "economic environment" and playing my opportunity cards better. Hence, I am the humble winner of the first set of the game. But for the second set of the game, I went bankrupt along the way, while Lionel clinched his first win. B : it was fun, hope to see you again in the next session. I'll be there... around every corner... in every empty room... for I am the shadow, and the smoke in your eyes, I am the ghost, that hides in the night. "Did you hide yourself away? The world will never know you like I do"
It was quite random. I was searching for "The Shadow" Movie quotes but ended up with the song. LP : Ya lor, I seriously never thought of it as a song. Btw, what is the band that you two talk about?